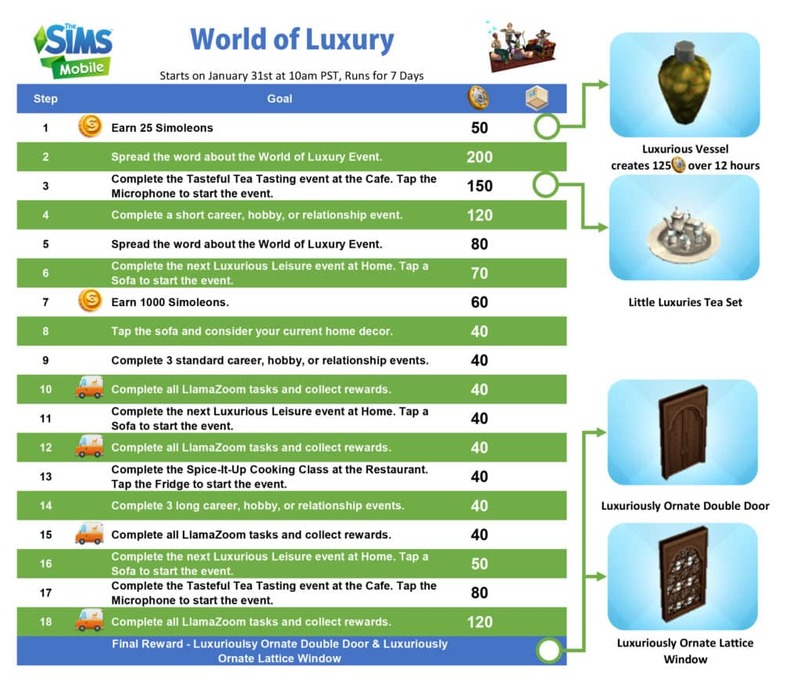 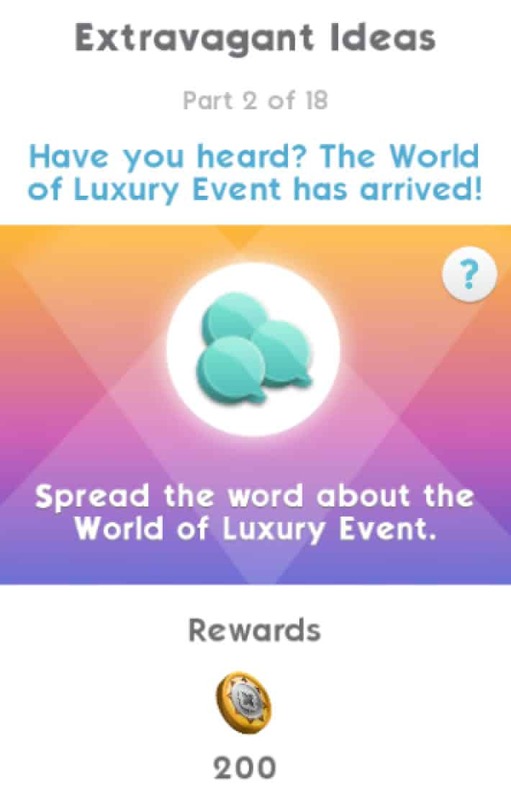 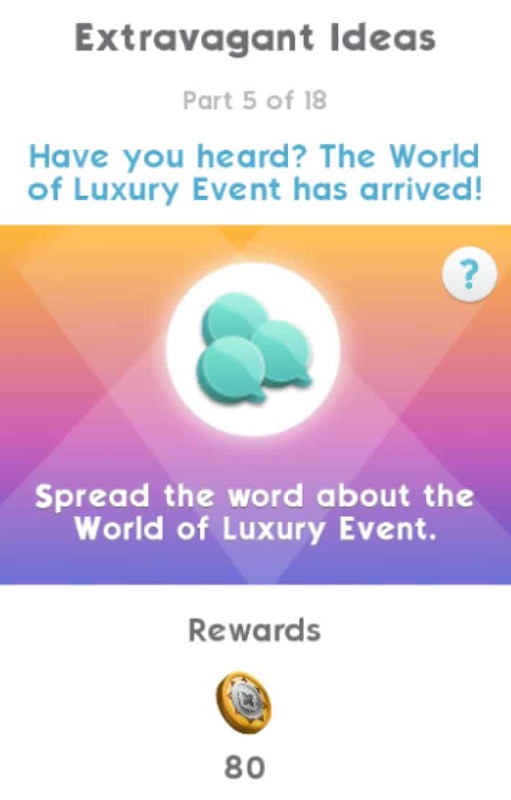 The Sims Mobile has just started with a rerun of the World Of Luxury Event which is now available in the game! 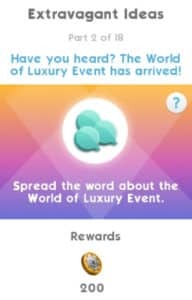 The event has started on January 31st at 10AM PT and will be available for the 7 following days. 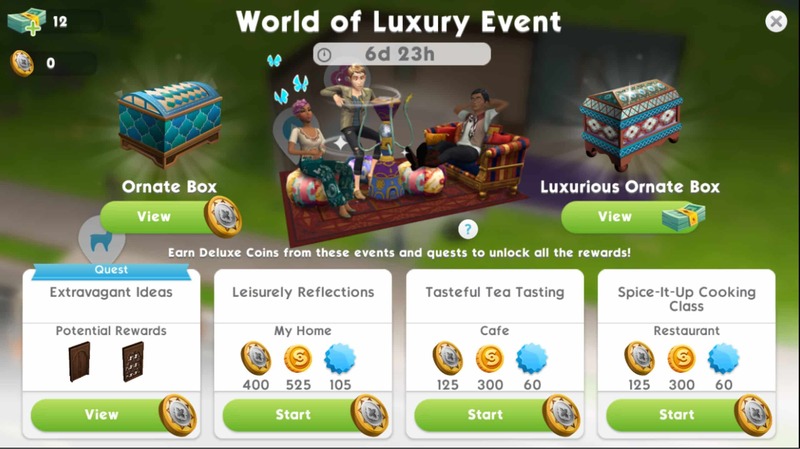 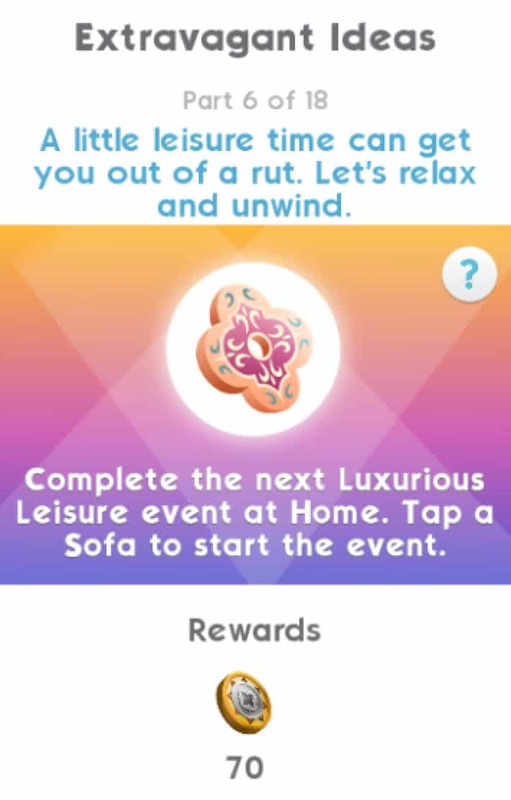 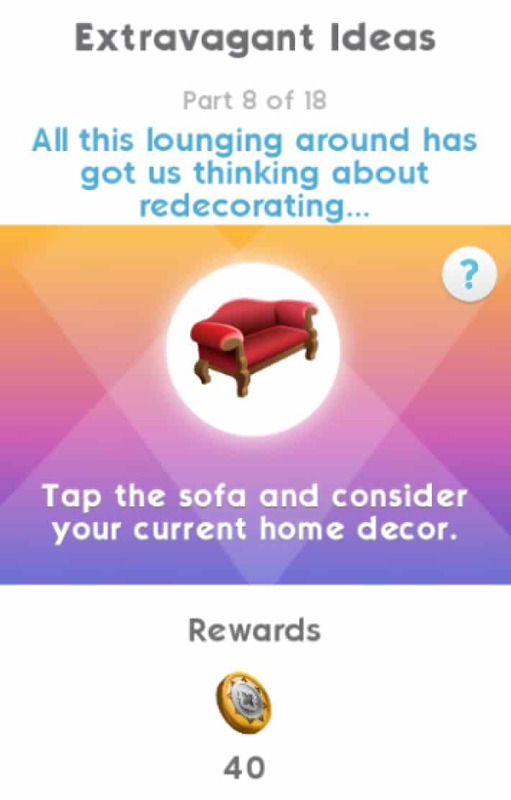 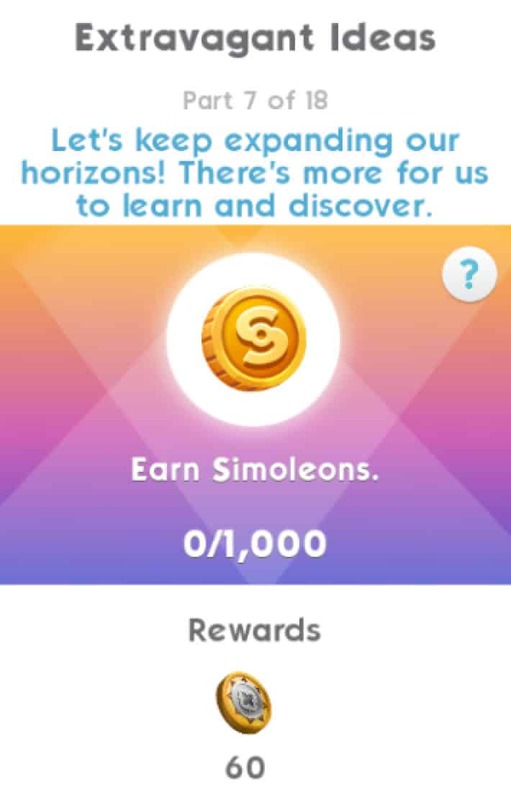 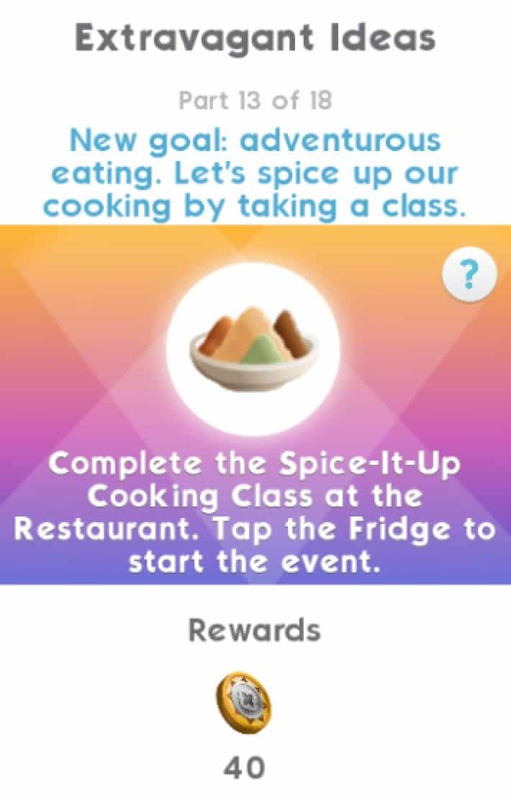 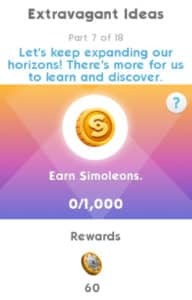 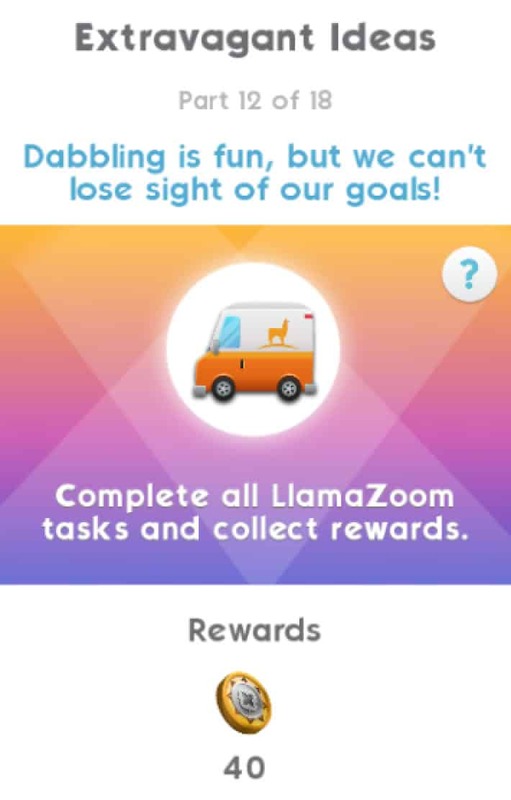 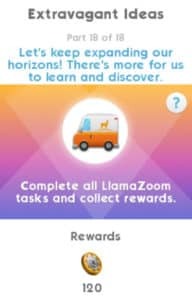 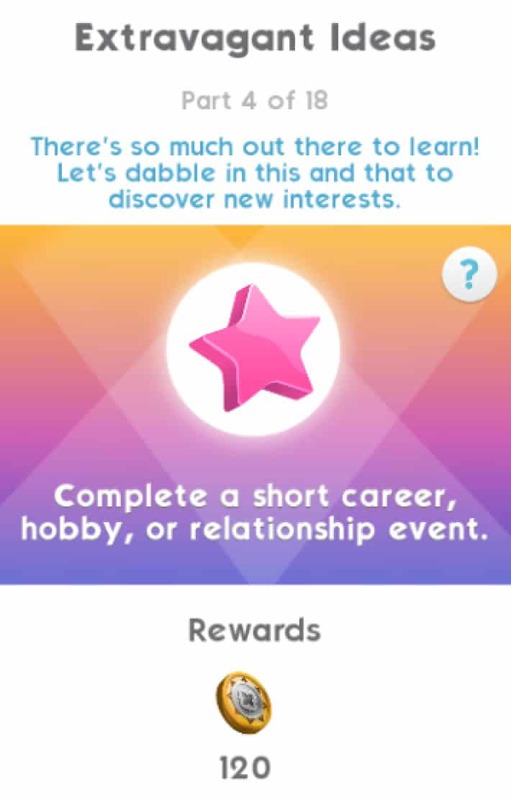 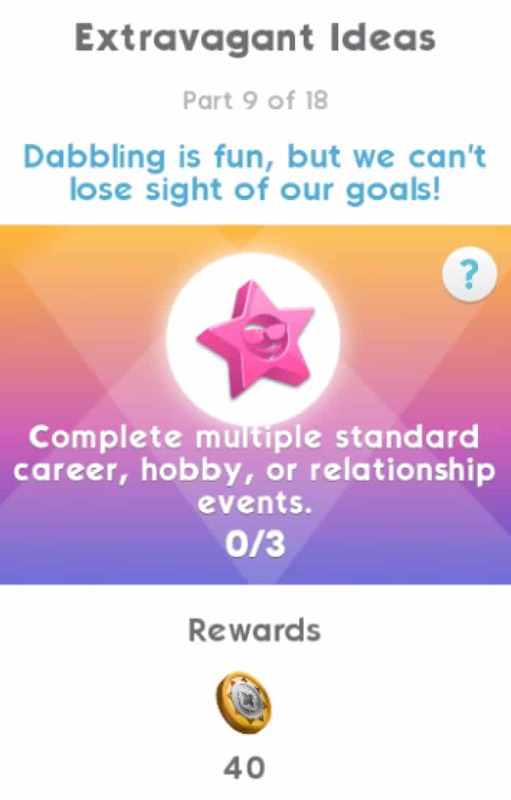 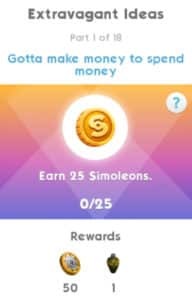 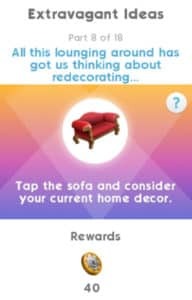 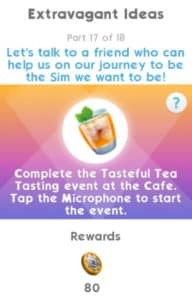 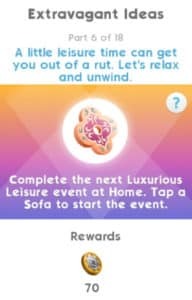 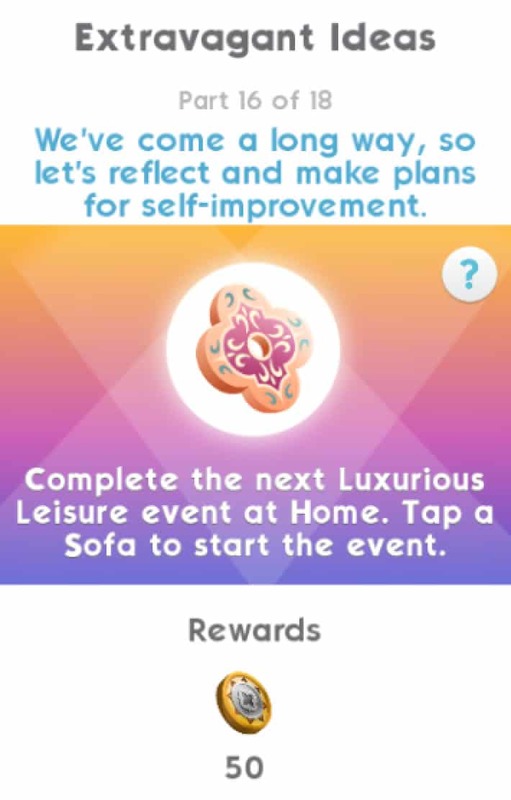 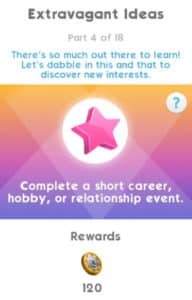 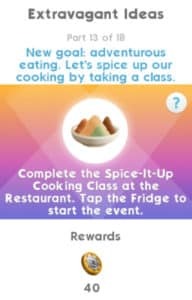 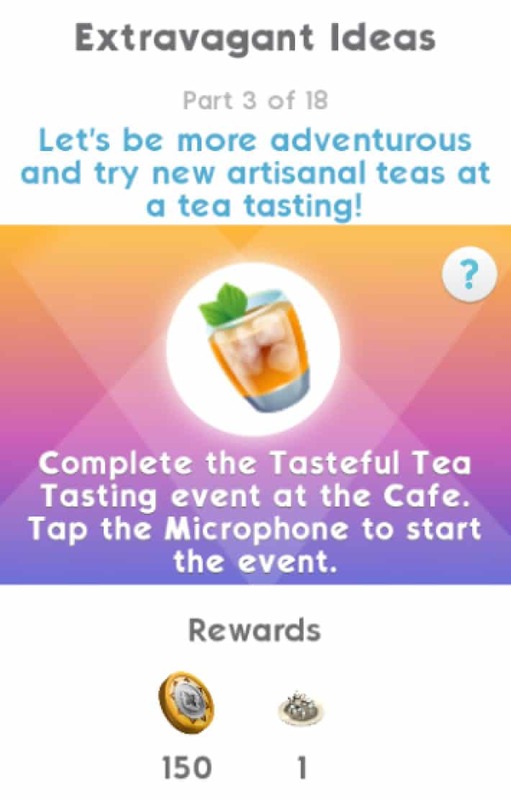 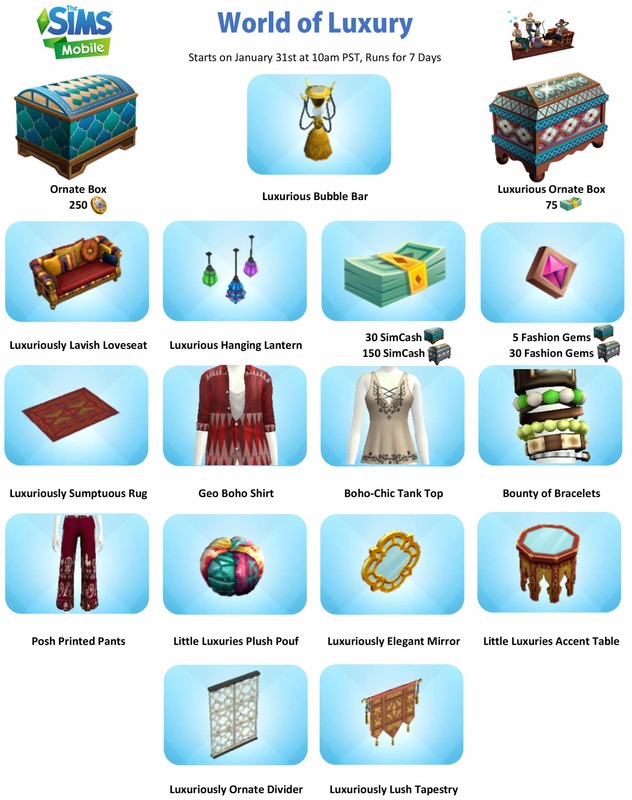 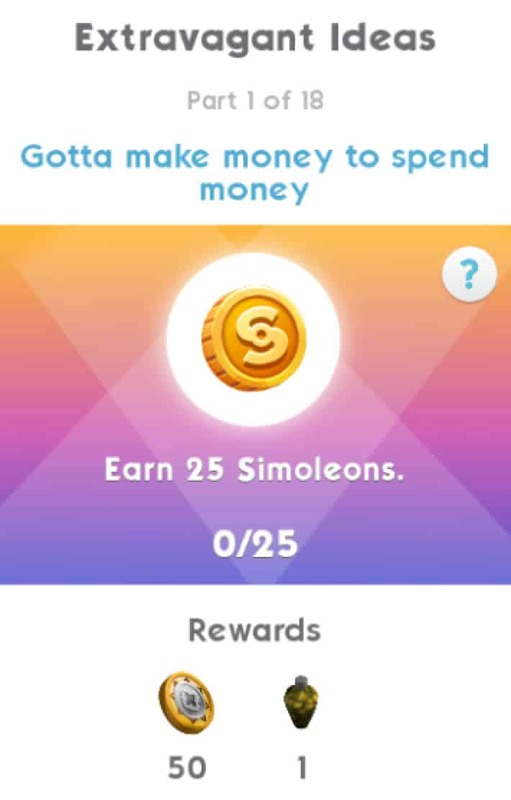 Just like previous events, this one relies on special tokens called Deluxe Coins that you can collect by completing special Events, the Event Quest, LlamaZoom and completing various regular events in The Sims Mobile. 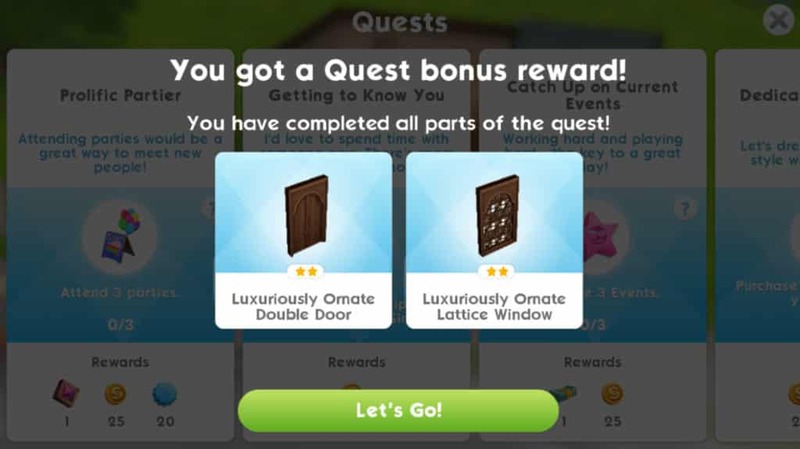 There’s also a special quest that you can play through that’ll help you unlock tokens and the final prize – Luxuriously Ornate Double Door and Luxuriously Ornate Lattice Window. 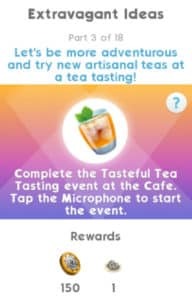 Part 17: Complete the Tasteful Tea Tasting event at the Cafe. 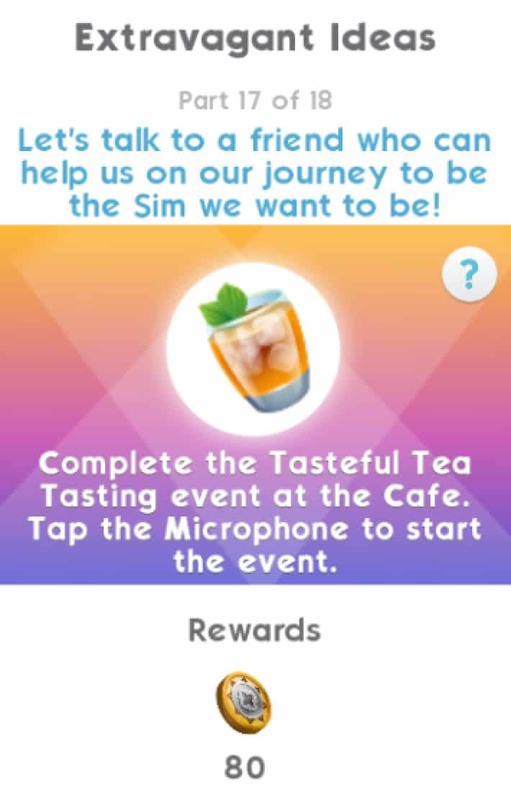 Tap the Microphone to start the event.